Apple has released macOS High Sierra 10.13.1 to all Mac users running High Sierra. The MacOS High Siera 10.13.1 update includes bug fixes, security improvements, and feature enhancements, and also includes over 70 new emoji icons. Users who are or were experiencing any problems with macOS High Sierra should update to macOS 10.13.1 as it may remedy potential issues or bugs experienced with prior builds. Separately, Apple has also issued Security Update releases for prior Mac OS versions including MacOS Sierra and OS X El Capitan. A minor update to iTunes 12.7.1 is also available. iPhone and iPad users can also download iOS 11.1 update now, along with watchOS 4.1 for Apple Watch and tvOS 11.1 for Apple TV. Always backup a Mac before installing any software update. The simplest way to install a software update on the Mac is through the App Store update mechanism. Prior Mac OS versions will find Security Update 2017-001 Sierra or Security Update 2017-004 El Capitan available in the Updates section of the Mac App Store as well. Note that because 10.13.1 is the first update for macOS High Sierra that a ‘combo’ update is not available for the .1 release, since it is not required to combine prior updates. -Adds support for 70 new emoji, including food types, animals, mythical creatures, clothing options, more expressive smiley faces, gender-neutral characters and more. -Fixes a bug where Bluetooth appeared as unavailable during Apple Pay transactions. -Improves the reliability of Microsoft Exchange message sync in Mail. -Fixes an issue where Spotlight does not accept keyboard input. -Improves the reliability of SMB printing. -Makes Touch ID preferences accessible while logged in as a mobile account on MacBook Pro with Touch Bar. -Adds support for unlocking a FileVault-encrypted APFS volume using a recovery keychain file. For details, enter man diskutil in Terminal. 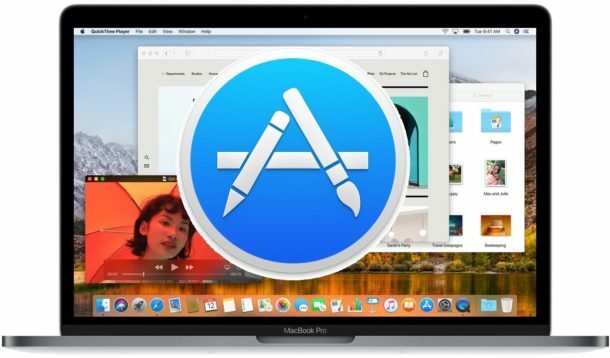 For those with additional Apple devices, Apple has also released small security updates to other Mac OS X releases, a small update to iTunes, iPhone and iPad users can update to iOS 11.1, watchOS 4.1 for Apple Watch, and tvOS 11.1 for Apple TV are all available as well. No 10.13.1 on apple download page. No 10.13.1 on apple download page link. I have not upgraded yet, waiting on the bug fixes. Should I upgrade with this bug fix or wait for the first combo pack? WAIT!!!! I made the mistake so you won’t have to. Yeah. I didn’t wait and it is terrible. WARNING! 10.13.1 is buggy! Finder hesitates/slow and About This Mac shows High Sierra but release 10.12.6. Looking for the standalone updater download. The link, above, doesn’t get me there and I can’t seem to find it, anywhere, on Apple’s support site. No sign of OS 13.1 on iTunes or Updates. My Finder keeps crashing, too. I’ve been able to “go backward” on a couple of tabs, then go back in and have them working fine, but this is frustrating. yosemite end of support? Have i upgrade from an stable system to? Personal opinion here: Yosemite was a terrible release, I would recommend El Capitan as the most stable recent Mac release even though it’s dated now. The later releases of Sierra 10.12.5+ were tolerable as well. High Sierra is a mess I am currently avoiding, too many problems reported with no features to benefit, maybe they will figure out High Sierra by 10.13.5 too. I miss Jobs at the helm. Did the update but after restarting it did not ask for my password. I have automatic login disabled. After I shut down the computer and reboot, it is asking for my password again. Everything else works fine so far. Apple has said multiple times (including at WWDC ’17) that APFS is not yet supported on Fusion Drives. Instead of “hating”, try doing your research before you complain. It looks like they’ve pulled this upgrade – I can’t find it anywhere currently. After 2 attempts to install 10.13.1 over the past week, I was able to get it to install today 11.11.17. Maybe it’s me, but why do people get so excited about “70 new emoji icons”…. Downloaded, and installed High Sierra, including the new update. Total time about 75 minutes, everything seems to work normally, except the screen brightness is dimmer. MacBook Pro (2010) Wi-Fi is *still* hosed (crash/freeze after 15min & then reboot) under 10.13.1. ok – guess i’m headed back to El Capitan on this puppy. Apple can no longer reliably support their products – sad but *true*. can some auto software platform mayhem be far behind? Does this fix the pointer bug issue with some programs? Is anyone else having problems with OPEN RECENT in Microsoft Word since the upgrade? It has stopped tracking my current documents and can’t “find” the other recent ones; when I go into Preferences, the option to track is not there. Older MacBook Pro (8,3). Installed Security Update 2017-001 Sierra update. Awful. AWFUL. So slow. Incredibly frustrating. A security update should have no impact on performance, they are small updates that do not do anything beyond patching specific security issues. It’s probable or likely your Mac is just reindexing the drive or performing background activity, making it feel slower temporarily. It’s also possible there is a software compatibility issue. Open Activity Monitor and sort by CPU on top, see what is taking up resources. Otherwise give it a few hours, I installed the security updates without issue on El Capitan. I am specifically avoiding High Sierra FWIW. Wow, after reading the ‘mail’ of numerous reviews, I’ll be staying with Sierra on my 2017 iMac. How can a person go back to before 10.13.1? Biggest mistake I ever made. After the 10.13.1 update. My MacBook Pro (15-inch, Late 2016) have nothing but problems. It slows it down drastically. My Dropbox won’t connect. My latest Firefox won’t load. App store won’t open. My outlook also stop working. What a nightmare. Very disappointed especially from Apple.